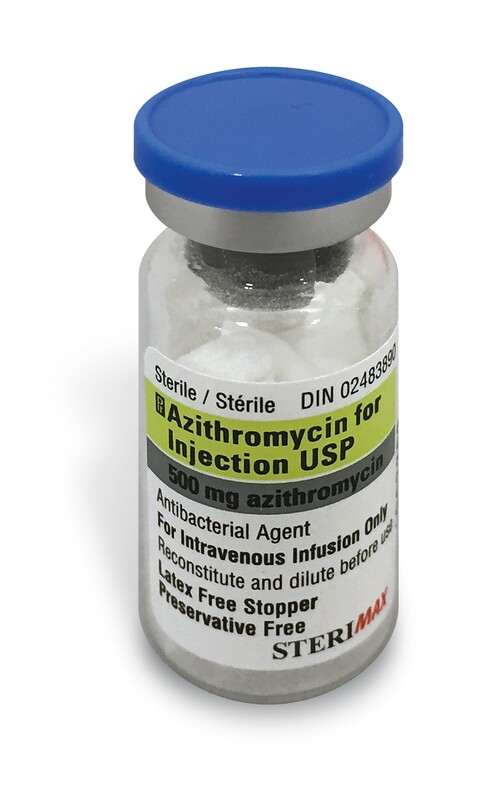 Azithromycin for Injection | SteriMax Inc.
1. Community-acquired pneumonia (CAP) due to Chlamydia pneumoniae, Haemophilus influenzae, Moraxella catarrhalis, Legionella pneumophila, Mycoplasma pneumoniae or Streptococcus pneumoniae in patients who require initial intravenous therapy. 2. Pelvic inflammatory disease (PID) due to Chlamydia trachomatis, Neisseria gonorrhoeae or Mycoplasma hominis in patients who require initial intravenous therapy.